Growing teams often hit a ceiling when scaling QA. Writing and maintaining the number of tests required to comprehensively test a complex product can easily become a major time and resource sink. 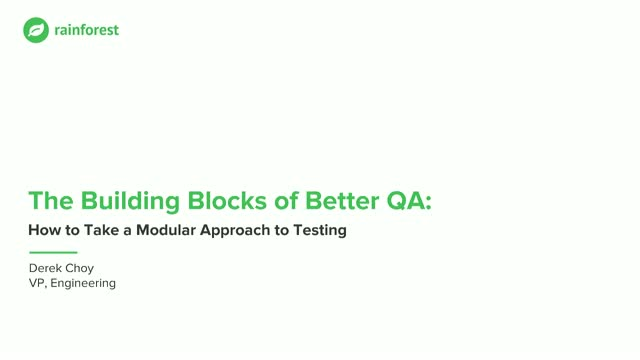 By taking a modular approach to testing, QA and development teams can more effectively integrate testing into their development cycles and reduce management overhead significantly.